What’s the fuss about Global Business Services? Surveying some of the 184 GBS organisations in the SSON database, this report identifies their modus operandi, reporting structure, governance framework, talent management strategy, leadership, and, of course, value add. What emerges is perhaps the most detailed picture yet of modern-day Global Business Services, based on direct feedback from GBS leaders. 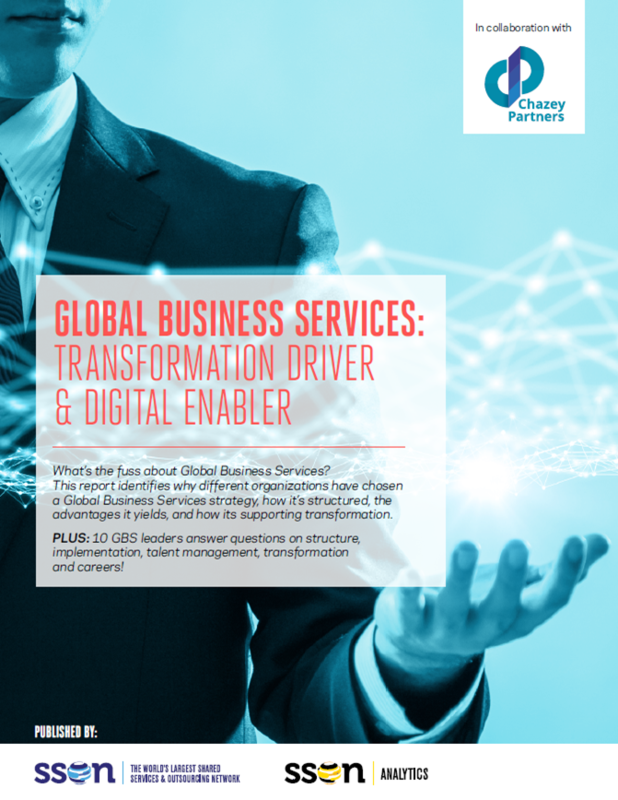 In this report we have included candid interviews with 10 modern-day GBS leaders as well as tapped into the experience and knowledge of one of our long‑time associates, Chazey Partners, to show you what can be achieved. Whether you are ready for a global model, or whether it’s even appropriate for you right now – this report will help you understand the why’s, the why not’s, and the what if’s.